Sadly I never got the chance to taste camel. I managed to get a week-long glimpse of this heartbreakingly beautiful country through a week-long tour organised through KE Adventure Travel. 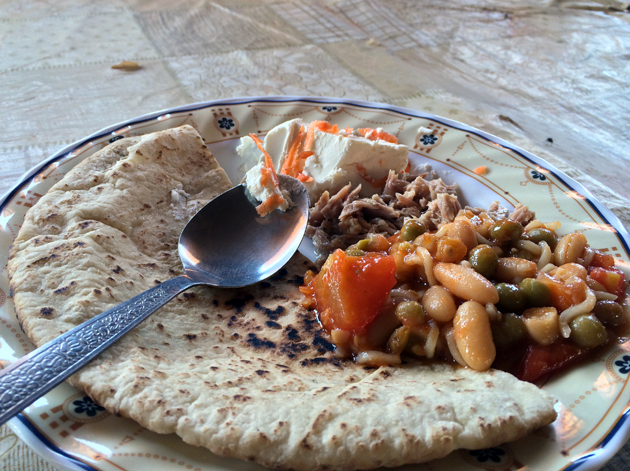 This relatively short jaunt meant that I barely scratched the surface of Jordanian cuisine, but there were still some definite highlights as well as some definite lows too. As with my broad Taiwan travelogue, I won’t be assigning any star ratings here and my comments should be taken as a general guide rather than a stricter, more formal review. Unlike my Taiwan travelogue, there won’t be any accompanying full restaurant reviews. 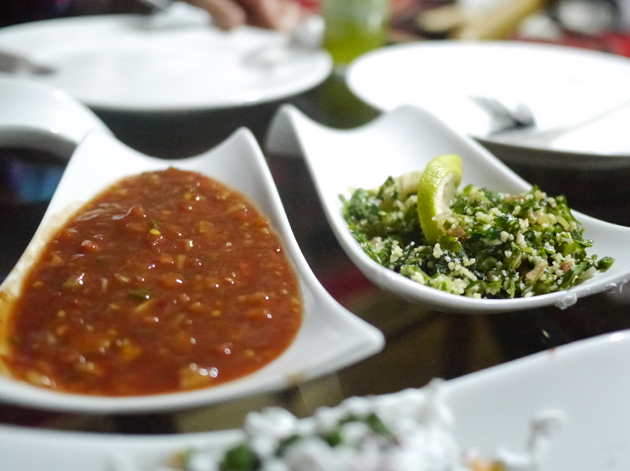 A lot of Jordanian mezze are similar or identical to those found in Lebanese and other Levantine cuisines which is no surprise given the close cultural and geographical links. Madaba is a town that’s home to a host of Byzantine-era mosaics as well as Haret Jdoudna, which is nothing if not an attractive restaurant. The covered courtyard area is very atmospheric, although I was inevitably shown upstairs to a plainer dining room strangely cornered on three sides by souvenir shops. Sadly, the English-speaking staff wouldn’t take my order for lamb brains despite its presence on the menu. 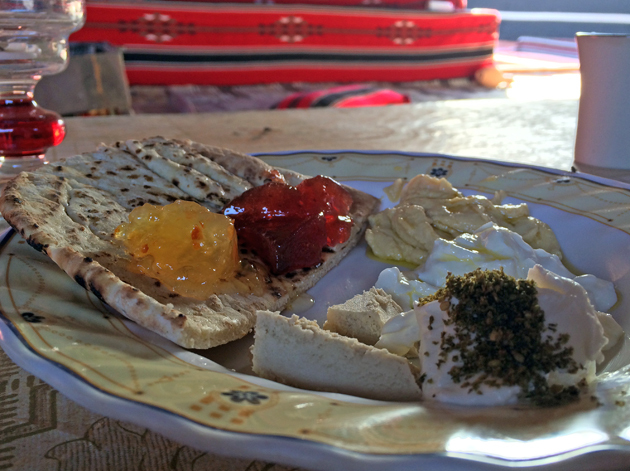 Haret Jdoudna’s mezze wasn’t bad, but it wasn’t outstanding either. 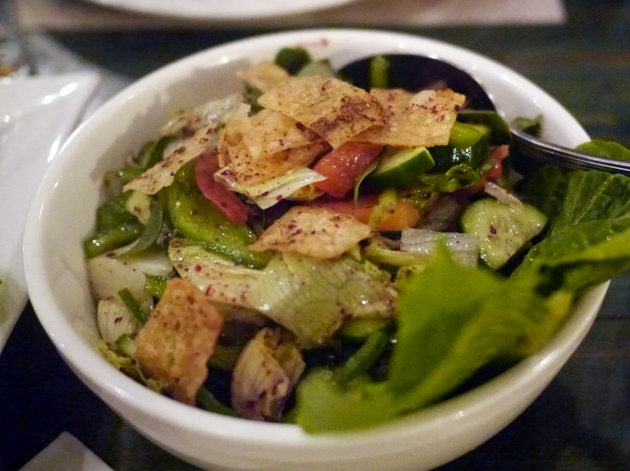 The fattoush salad was refreshing with tomatoes, onions, lettuce and more mixed in with crisp bits of fried bread and a slightly acidic dressing. 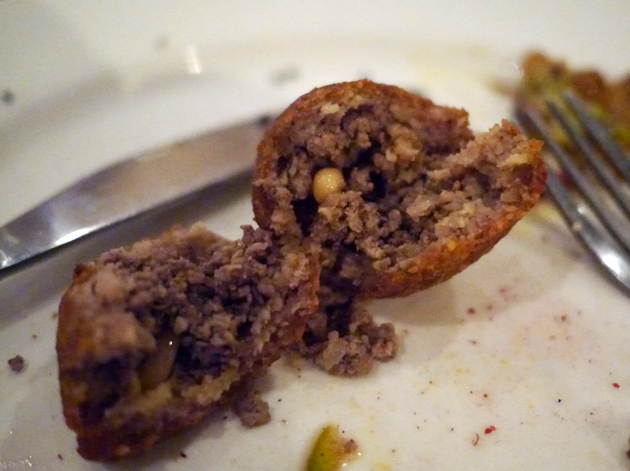 The kibbeh wasn’t bad with a moderately crisp exterior, but the anonymous minced meat filling was underwhelming with the addition of pine nuts the only saving grace. Bears a slight and superficial visual resemblance to haggis. 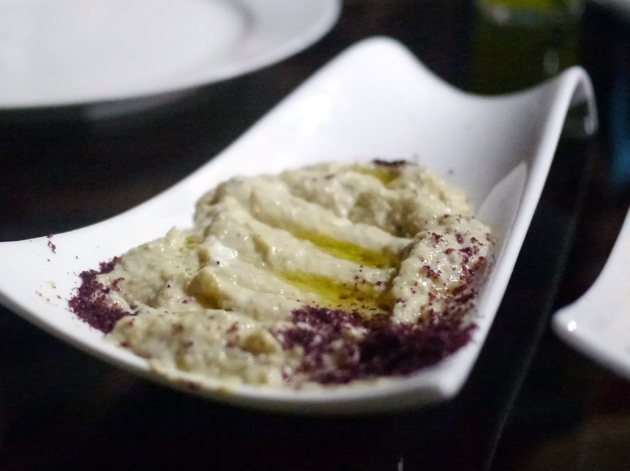 The moutabbel, a puree of smoked aubergine, is one of my favourite mezze dishes but the version here was only moderately creamy and not smoky at all. It had clearly been bulked out with a lot of tahini filler. It’s not lamb brains, but it’ll do. The makdous was a damp squib too. 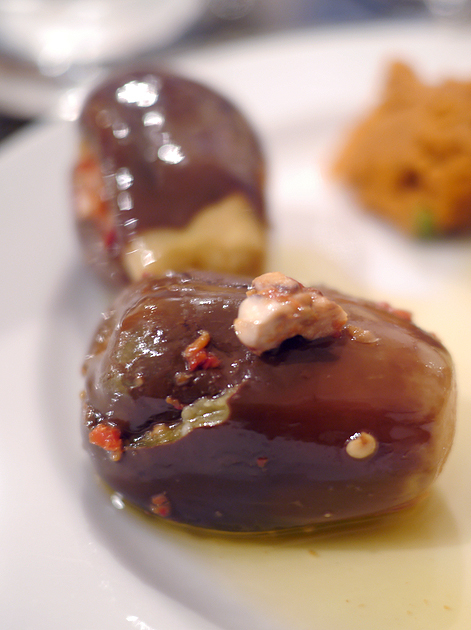 The thin hollowed out aubergine was very tart which, combined with its thinness, almost made it resemble an onion. 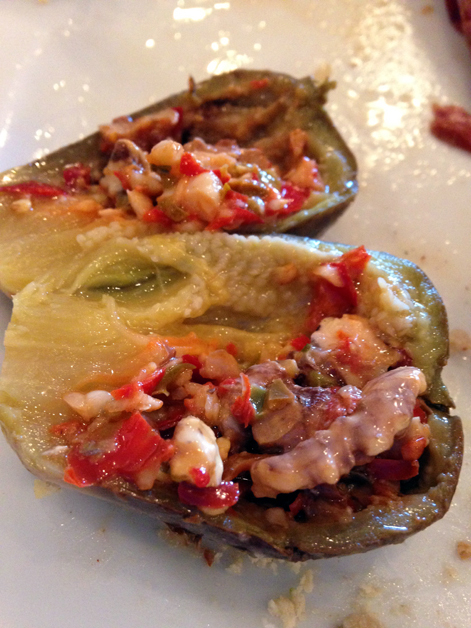 Even more disappointingly, the filling of pickled walnuts and chilli was surprisingly bland. At around 18JD (£15 approx. at the time of writing), Haret Jdoudna was inexpensive by London standards, but the quality of the food was hit and miss. 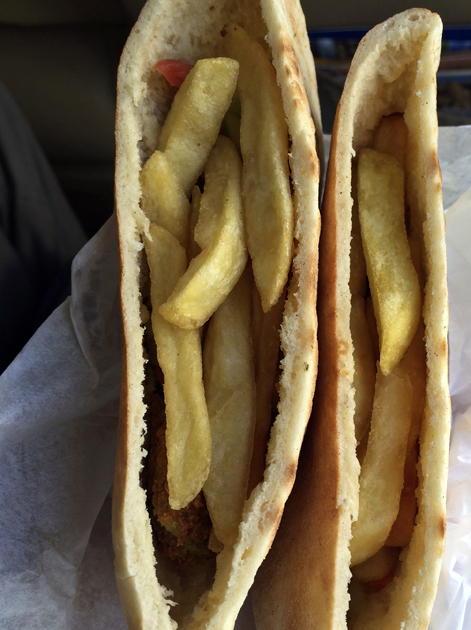 I sincerely hope this isn’t the best that Madaba has to offer. 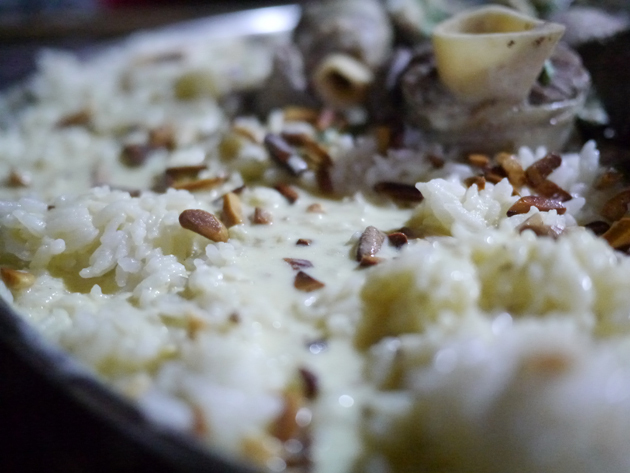 One of Jordan’s most distinctive dishes is mansaf, a dish of stewed lamb originally served with bulgur wheat, but now more commonly served with rice and then garnished with pine nuts. 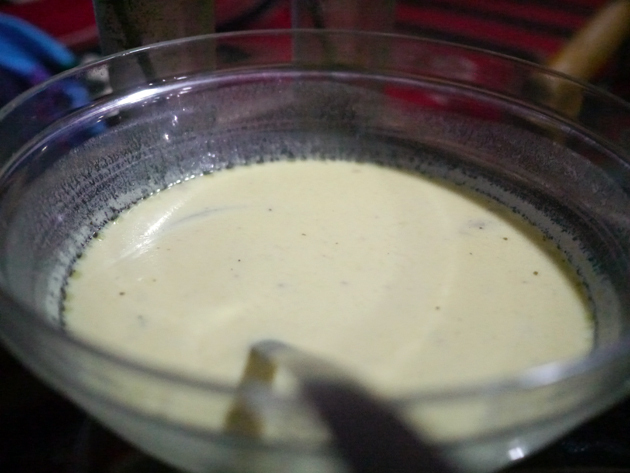 Poured on top is jameed, a sauce made from dried, salted goat’s yoghurt. 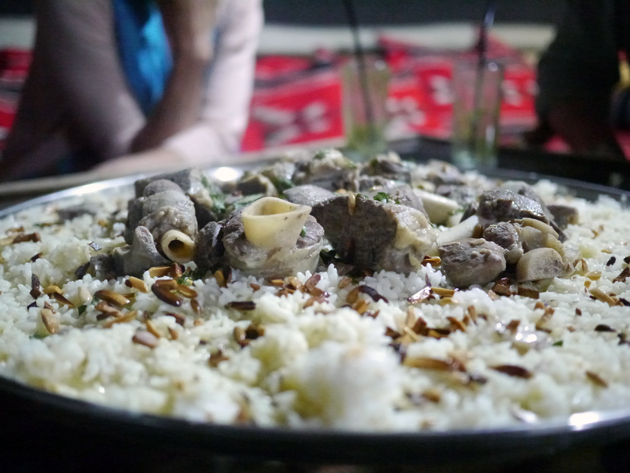 I shared a huge party plate of mansaf with my guide and four other fellow travellers at Deeritna, a restaurant in Wadi Musa near Petra superficially made up to look like a bedouin tent. Time to get your hands dirty. Or not as the case may be. Go easy on the goat’s cheese sauce. But not too easy. Mansaf is traditionally eaten using your hands, although I couldn’t bring myself to do it and chickened out with a spoon instead. Apparently the trick is roll some rice and meat into a ball and then flick it into your mouth. 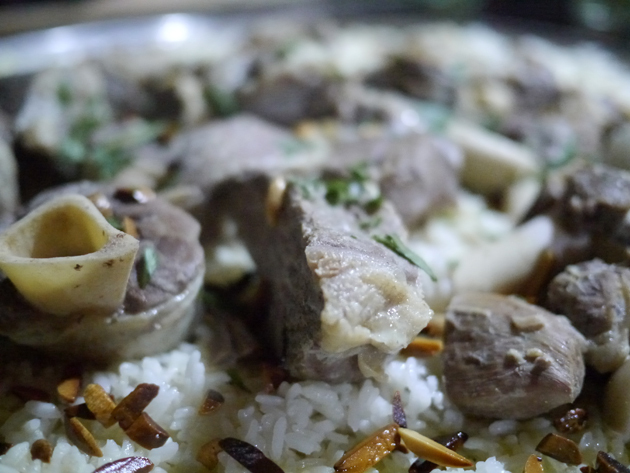 The chunks of lamb, served on the bone, was tender and occasionally earthy, but most of the flavour came from the creamy and mildly tart jameed. It was a warming and very hearty dish. Deeritna also does a decent selection of mezze. The hummus garnished with slightly acidic summac was satisfyingly nutty and creamy, but the muttabal wasn’t as smoky as I would’ve liked. 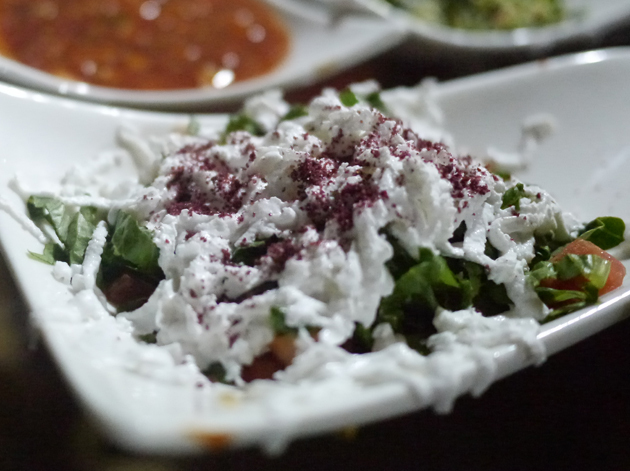 The chopped parsley and tabbouleh salad left me cold, but the salad topped with light, fluffy and salty goat’s cheese was a winner as was the surprisingly spicy salsa-like concoction. I have no idea what the red salsa thing is really called. A mixture of mint and lemon juice proved to a good way of washing everything down. 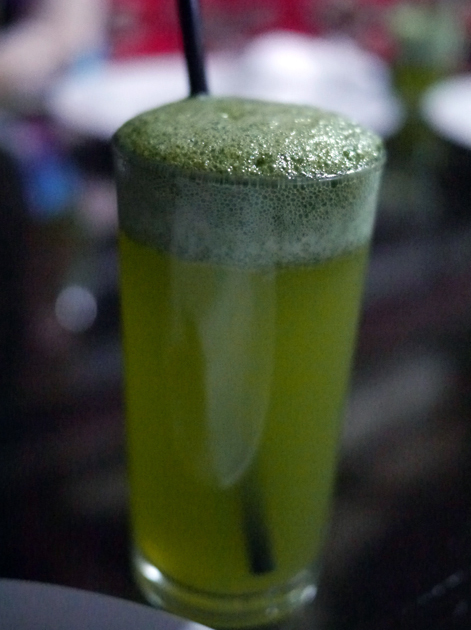 This green-coloured drink somewhat resembled a mint julep. 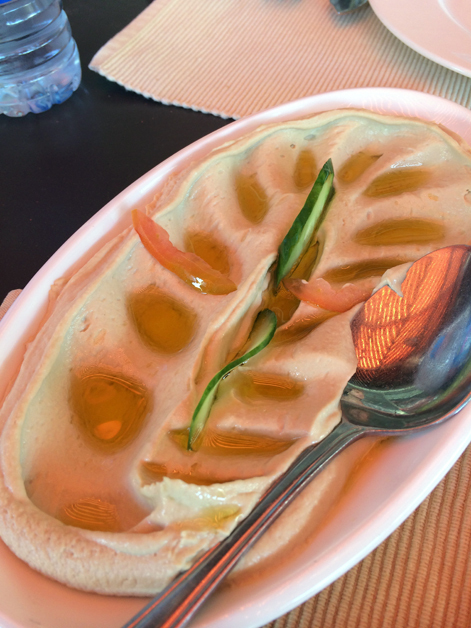 Like Haret Jdoudna, the meal at Deeritna cost around £15 a head, but was far better value and more satisfying too. Plus the proprietor has ribald sense of humour. Shamefully, I didn’t try nearly as much of the local fruit as I should have. I did manage to try some freshly squeezed pomegranate juice, although it would be very hard not to as there’s seemingly a fresh juice stand on at least one street corner in every reasonably-sized Jordanian town. I’ve never had pomegranate juice before and it has a complex taste that’s also very much an acquired taste – a intense hit of sweetness followed by a sharp, sour tang as it hits the back of the throat. I also didn’t try nearly as many of the local pastries and desserts as I would’ve liked. 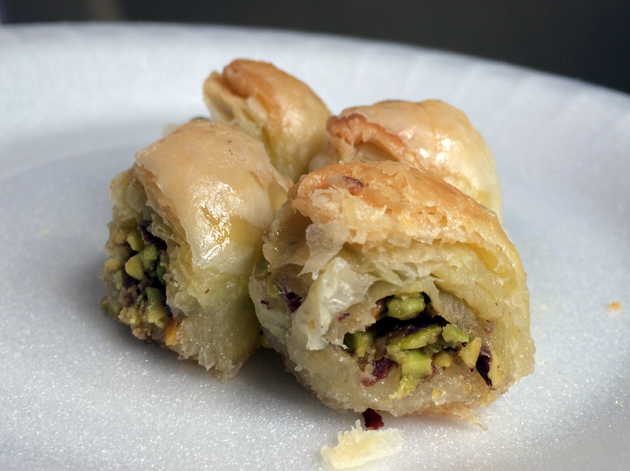 I did sample some baklava from Sanabel Bakeries in Wadi Musa near Petra and while suitably flaky and flecked with nutty pistachio, which is found growing in the wild in Jordan, it wasn’t that different from Turkish baklava. 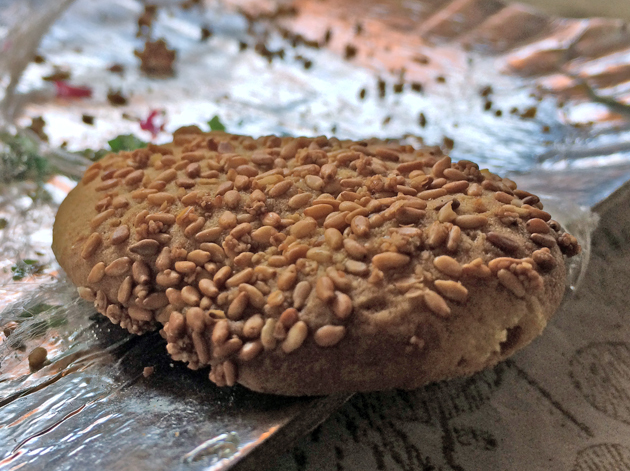 Lightly crunchy sesame seed biscuits are found throughout Jordan and they’re a good nutty accompaniment to the bitter Turkish-style brew that’s the dominant form of coffee. 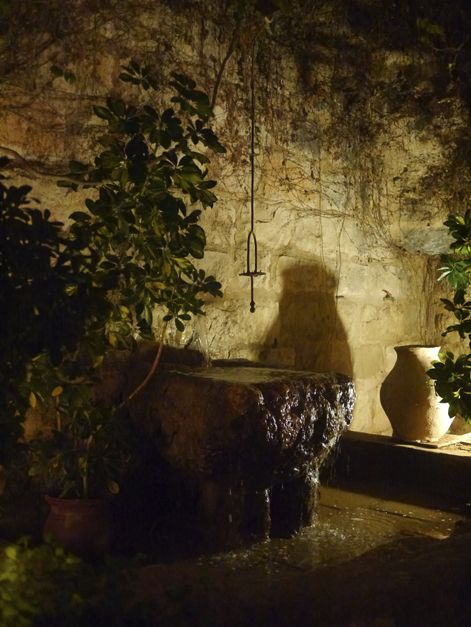 Moses allegedly stopped at Wadi Musa during the Israelites’ years in the wilderness. He probably didn’t have baklava. Sorry for the iffy picture folks. Visitors to Jordan often say that Petra is the highlight of the country. 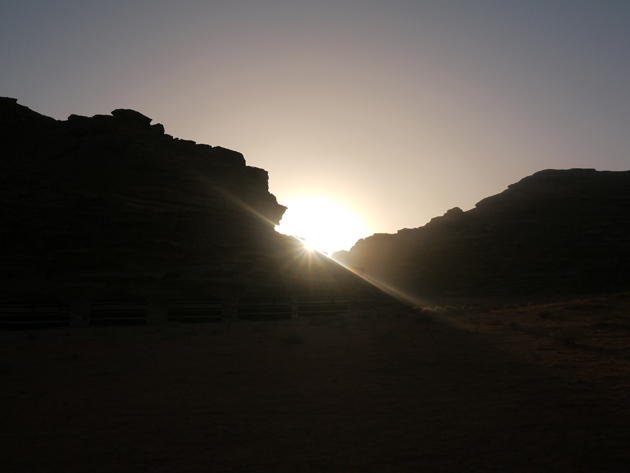 While the monumental city is certainly a wonder, it’s the stunning desert landscapes of Wadi Rum in the south of the country that have left an indelible impression in my mind. Staying for a couple of nights in a bedouin-run camp is the best way to appreciate the serene silence and stillness of the desert. The walled off corral of stones near the bottom right hand corner is actually a graveyard for the local bedouin. 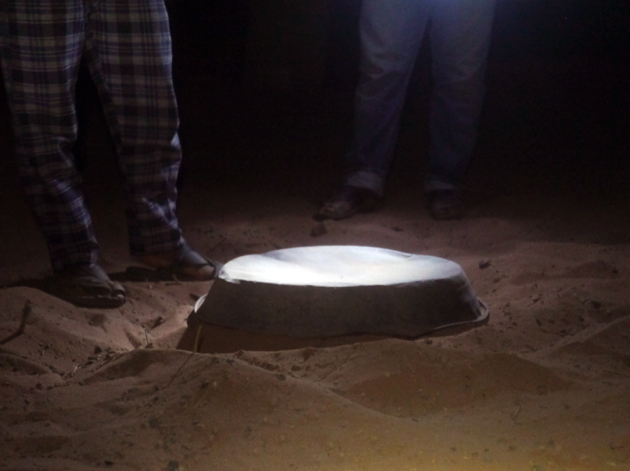 A fascinating way of cooking used by the bedouin is the zarb. Put simply, this consists of a tiered metal canister into which food its placed. 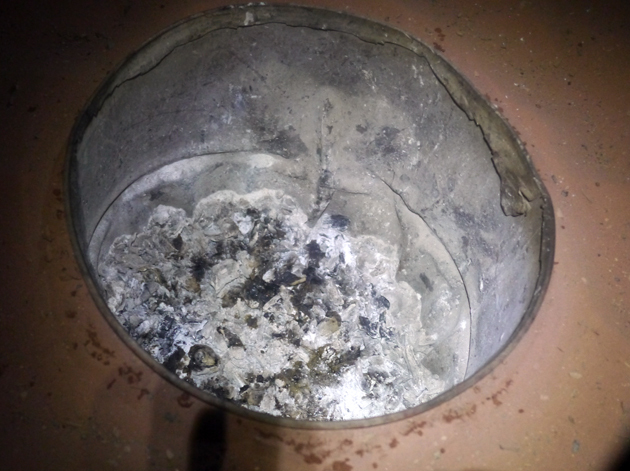 The canister is then buried in an underground pit in the sand and the contents cooked for several hours over charcoal. Chicken wings and thighs cooked this way were tender and had a light smokiness, although vegetables cooked this way, such as potatoes, didn’t taste that different from those cooked in a more mundane oven. 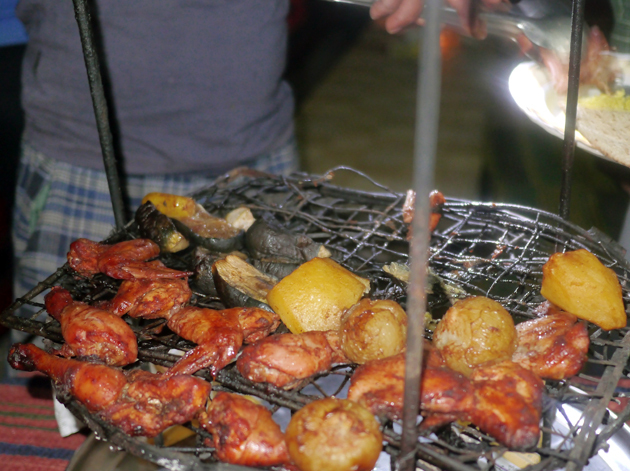 Of course not all of my meals in the desert were cooked this way. 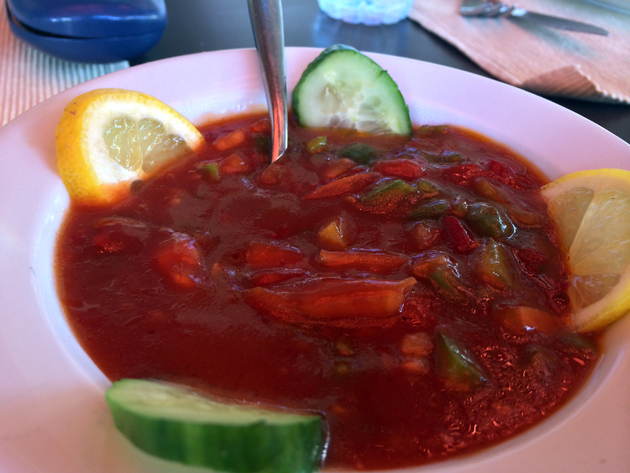 Most were much simpler affairs with lunches consisting of a simple bean stew served alongside a thick, smooth almost Philadelphia-like cow’s milk cheese. Breakfasts were plain yet satisfying – thick labneh yoghurt flavoured with thyme was an unusual yet flavoursome combination. I’m more used to having soft, crumbly, nutty halva as a snack or dessert after encountering it in Turkey, but it also works as a breakfast dish. Aqaba is both Jordan’s southernmost town and its only seaside resort. Despite this, seafood had a remarkably low profile and a lot of it is apparently not the local catch but frozen imports from the Gulf instead. 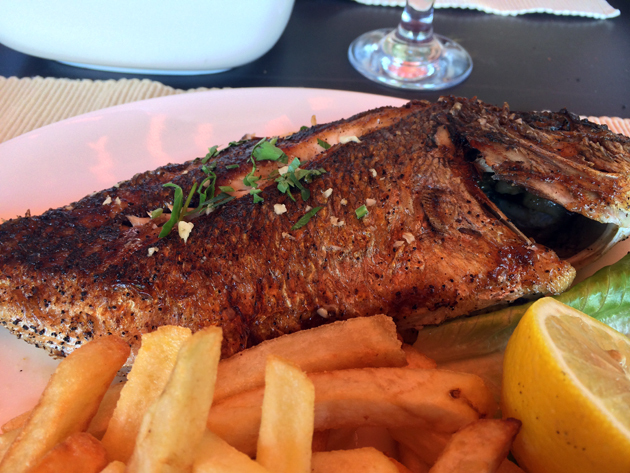 The fish served at Floka, which I’m fairly certain was grouper, was either fresh or did a very good impersonation of being fresh. The charred, smoky and slightly oily skin easily gave way to meaty, milky flesh. The accompanying french fries felt like an unnecessary sop to my Western sensibilities. The mezze was decent good though – the tart pickled cucumbers were pleasing as was the exceedingly nutty hummus, although the muttabal had a little too much tahini in it. The spicy salsa thing popped up again, but was a little muted this time around. As with the other restaurants here, prices were around £15 a head – there doesn’t seem to be that much variation in pricing. How do you spell hummus? There are far too many different English spellings of ‘mutabbal’. A large number of my meals were included as part of my tour, but all of these involved eating at buffet restaurants. Although these buffets definitely don’t represent the best of Jordanian cuisine, they are a quick way of filling your belly before trekking onwards. The buffet at the Jerash Rest House just inside the site of the city’s expansive Roman ruins won’t win any awards, but it is relatively cheap at just JD5 and includes a surprisingly good range of hummus and crushed fava beans, or fuul, which can be mopped up with as much flatbread as you can handle. There are a lot of hotel resorts along the Dead Sea for taking in the surreal buoyancy and skin softening qualities of its seriously salty waters, but most Jordanians head to the public Amman Beach Resort which costs almost half as much at just JD11. Although the slightly worn-around-the-edges pool and changing facilities are in need of a facelift, the buffet, which costs around JD12, isn’t too shabby. 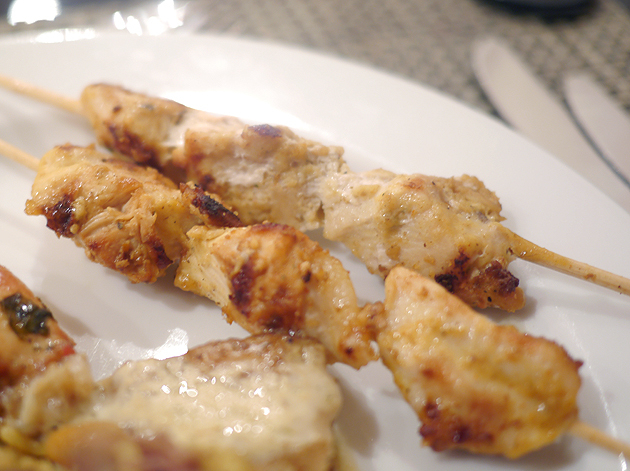 The muttabal was surprisingly creamy and moderately smoky, while the lentils accompanying the grilled chicken was far more moreish than the poultry itself. 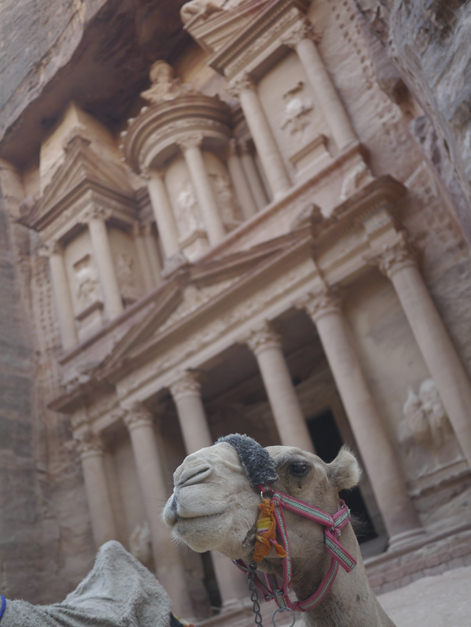 Sadly, and somewhat predictably, both the buffets inside the site of Petra itself were dreary, poor value affairs leeching off the captive tourist trade – trekking back to the nearby town of Wadi Musa from the centre of Petra takes at least 45 minutes. 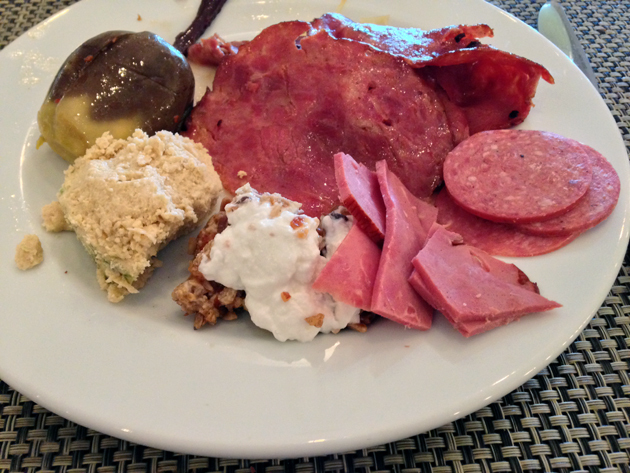 The mundane look of the JD20 Crowne Plaza buffet was instantly off-putting and the more run-down JD10 nameless buffet across the way was utterly unmemorable. The Marina Plaza Red Sea resort is frequented by truck loads of Jordanian, Western and Russian tourists which inevitably meant that the dinner-time buffet was aimed at the lowest common denominator. 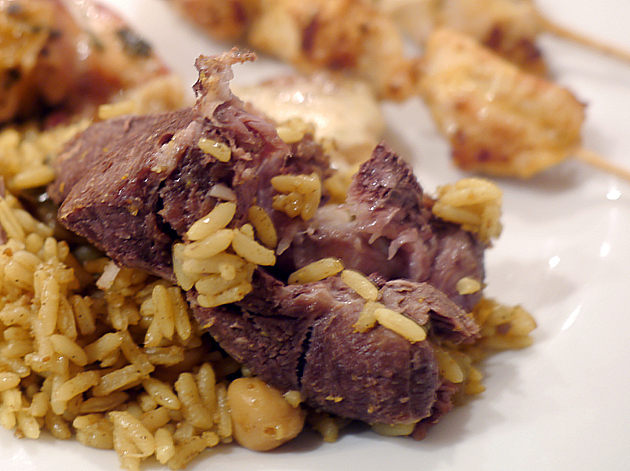 The meat was a particularly dreary affair – the chicken shish kebabs and stewed lamb served with chickpea-flecked rice were both bone dry and barely edible as a result. I’ve had better in the suburbs of south London after chucking out time. 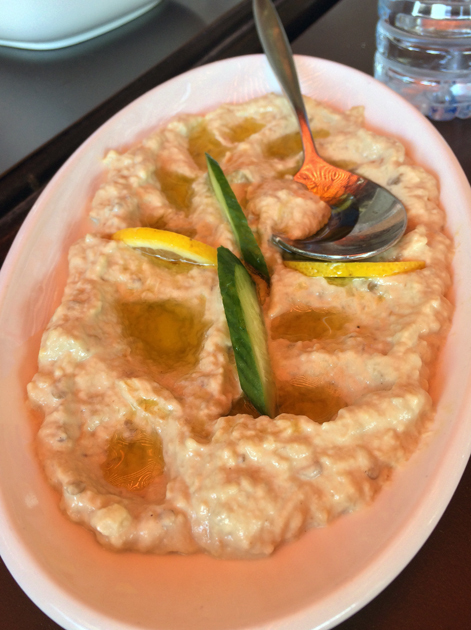 The vegetable dishes were far better – a particular highlight was the makdous which was far better than the version at Haret Jdoudna. 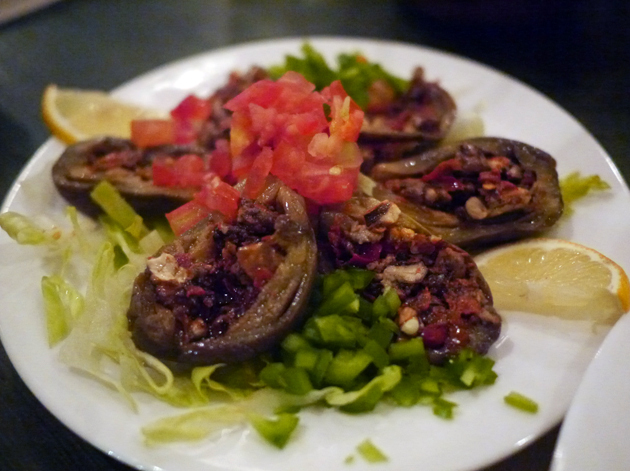 The chilled fleshy baby aubergines were filled with tart, mildly firm nuts and a dash of spicy hotness. It was an addictive combination. One mysterious surprise was a dense, soft and sweet vegetable paste that not even my very well-informed Jordanian guide, Nader Samir Saleh, could identify. 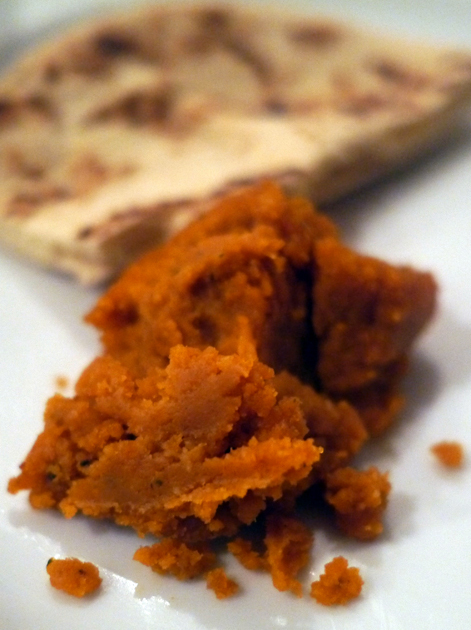 It tasted somewhat similar to sweet potato or pumpkin and was very moreish. 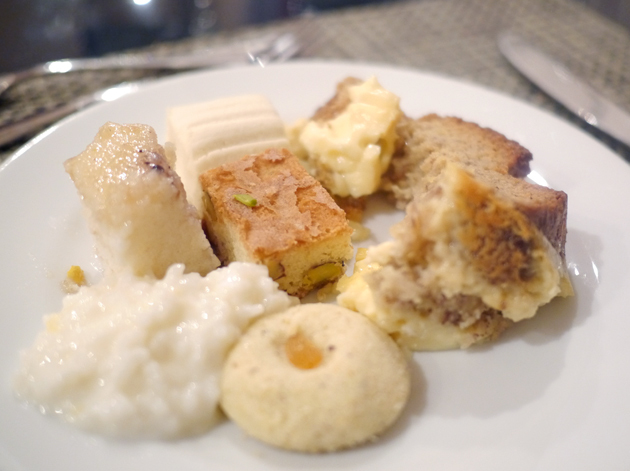 The desserts were for the most part an inoffensive selection of forgettable mini cake slices. Tasty, fluffy, unidentifiable orange thing. Random selection of unremarkable desserts. The breakfast buffet, on the other hand, was better. The makdous turned up again, but there was plenty for carnivores. 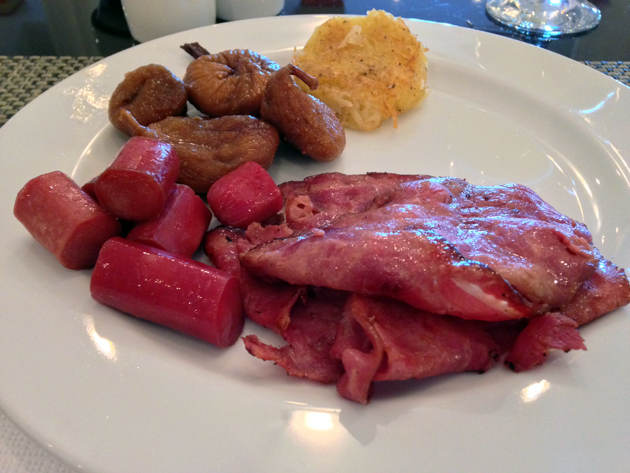 The thin slices of beef bacon tasted somewhat similar to roast beef and was surprisingly addictive, while the smooth and salty chicken sausages tasted surprisingly close to the pork frankfurter variety. 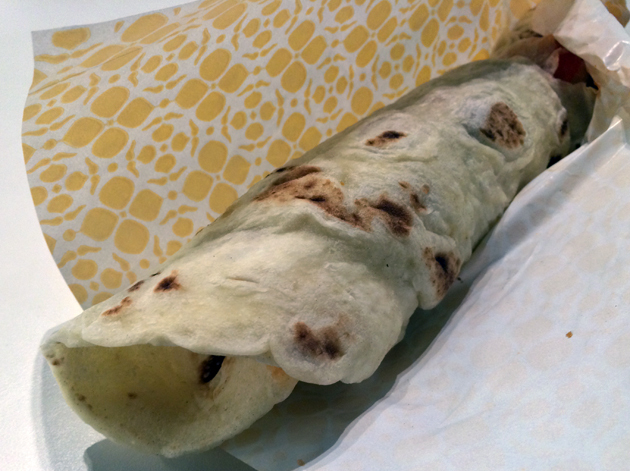 The museli, hash brown and halwa weren’t bad, but rather forgettable. Surprisingly, quality fruit was thin on the ground with only the dried figs standing out. Beef bacon is far better than it has any right to be. More beef bacon. I couldn’t help myself. 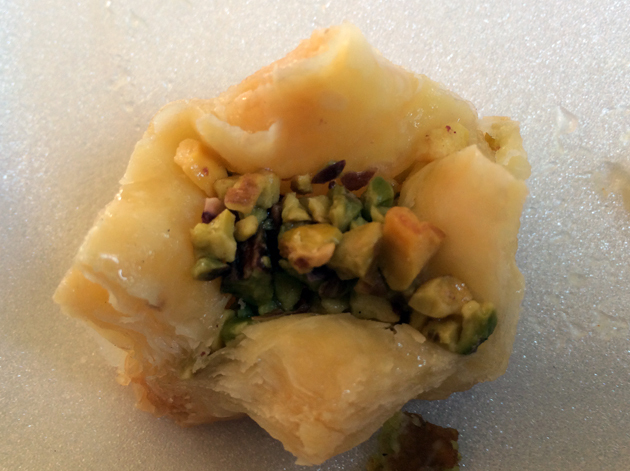 Makdous for breakfast. It probably won’t catch on over here, but I love it. Falafel stands are pretty ubiquitous in Jordan, although the random stand that I stopped at on my way out of Wadi Musa/Petra wasn’t up to much. Oddly accompanied by stodgy chips, the falafel was a little too crunchy and tough for my liking and smeared with a light dab of so-so hummus and salad. Have I been handed a chip butty by mistake? The falafel available from the Kahla stand at Amman’s airport was far better, although it still wasn’t quite as good as the falafel from Hoxton Beach back in London. 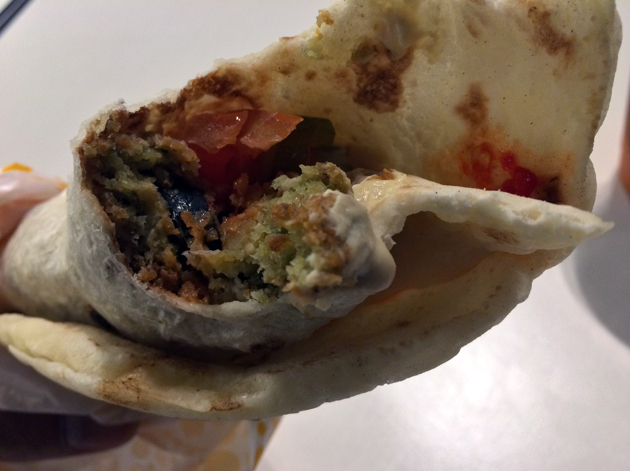 Wrapped in a thin, almost crepe or roti-like flat bread, the falafel balls were soft and fluffy, although the portion was a little on the small side. The light smearing of hummus and muttabel was a little miserly too, but the spicy sauce did have a tingly heat to it. 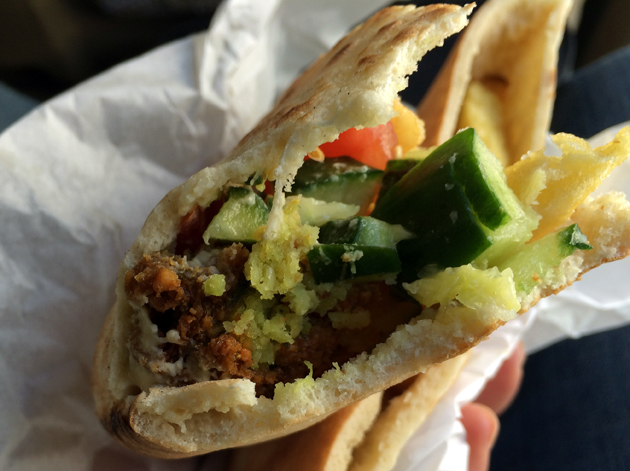 I’m not sure I can trust anyone who doesn’t like falafel. Service slows to a crawl when queues start forming. Which is doing it wrong. 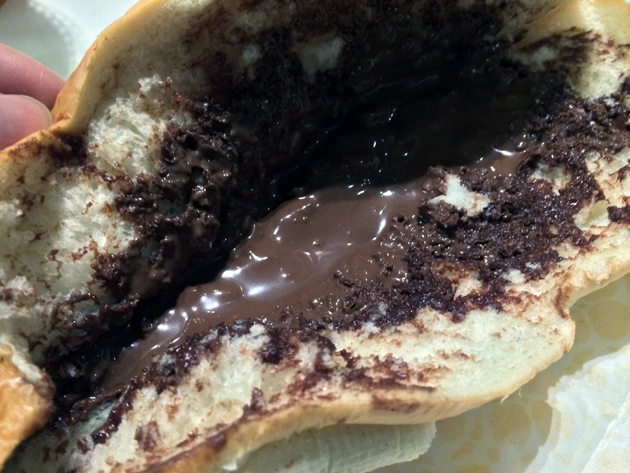 Finishing off my final meal in Jordan was the ‘nutella saj’ or nutella crepe in more prosaic terms. 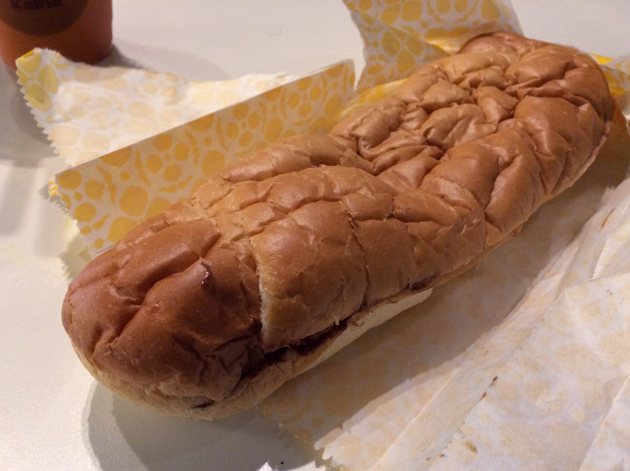 What I ended up with was even less glamorous as Kahla had run out of crepes so I had to settle for a soft sub-style loaf buttered with nutella instead. Was this worth the wait? Depends how much you like nutella. 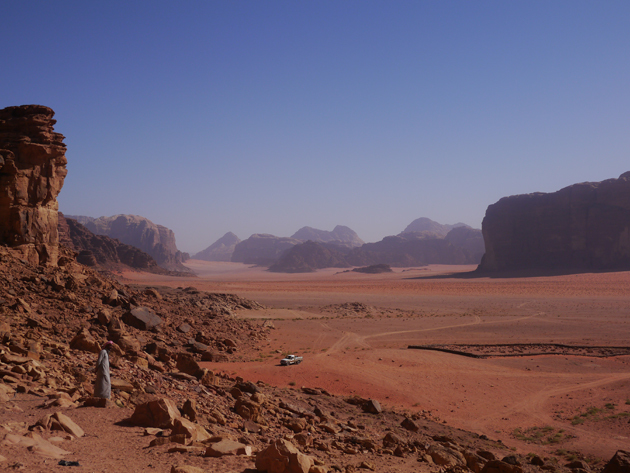 Jordan is an astonishingly beautiful country. 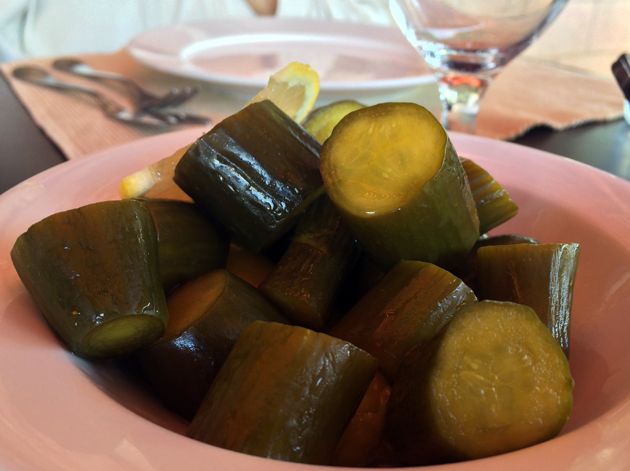 If I get to go back, and I really hope I do, I’ll be skipping the buffets and the familiar Levantine mezze classics from more quirky fare like mansaf. 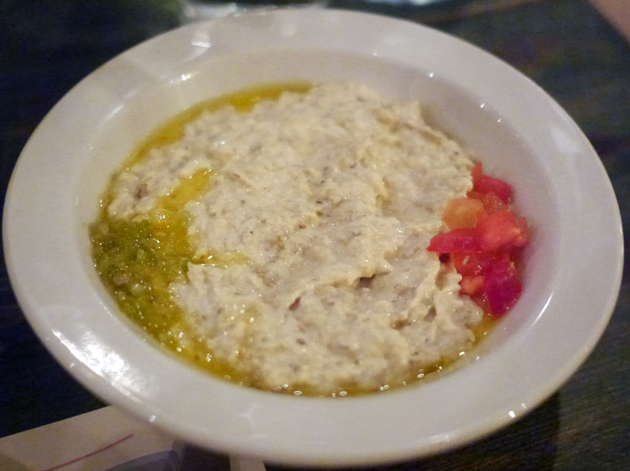 Tags: hummus, jordan, mansaf, restaurant, review. Bookmark the permalink. Do post in advance if you’re planning to go again. I used to live there and can tell you that there’s so much more great food to discover. 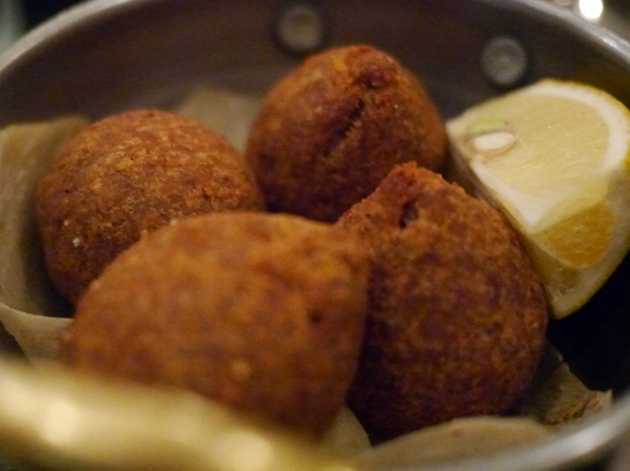 Hashem restaurant in old Amman serves a quality of falafel (in a rustic setting) that I have yet to see rivalled by anywhere else. And I’ve had falafel in 20+ countries.